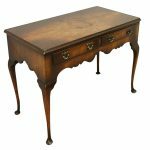 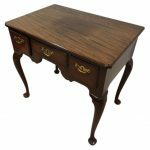 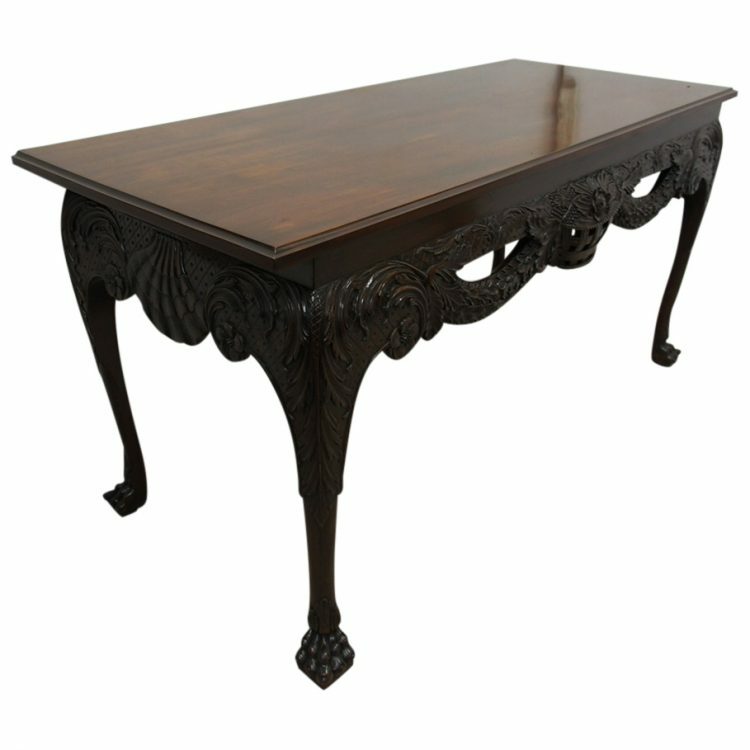 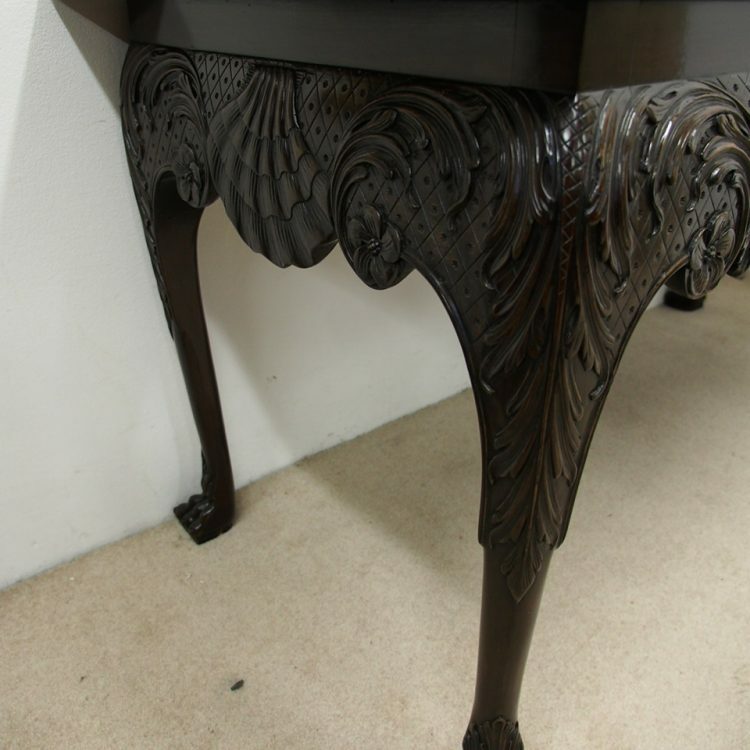 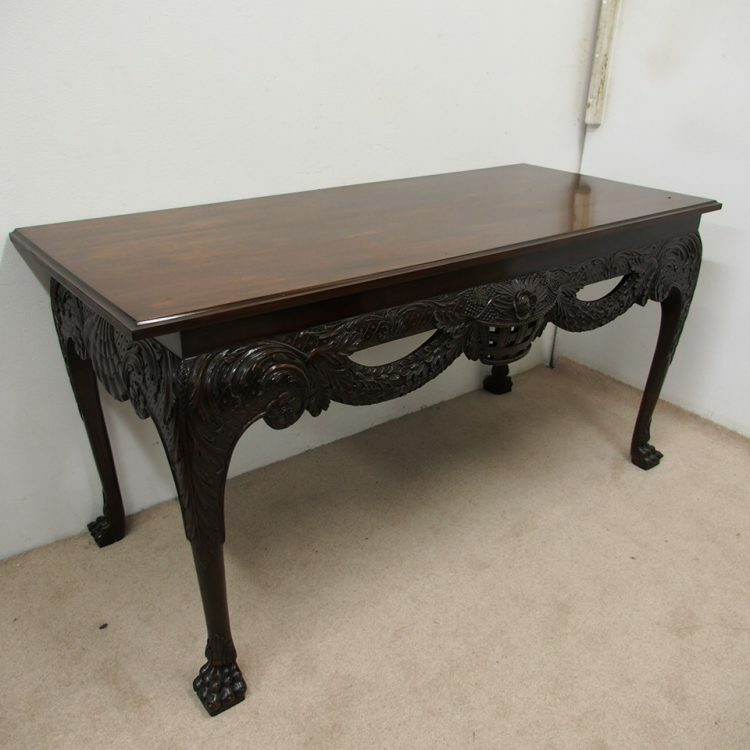 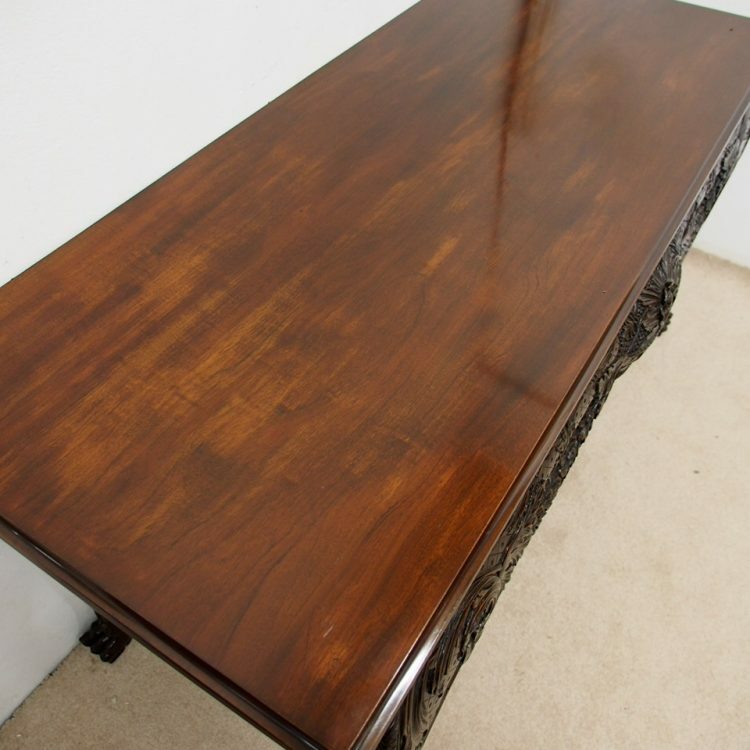 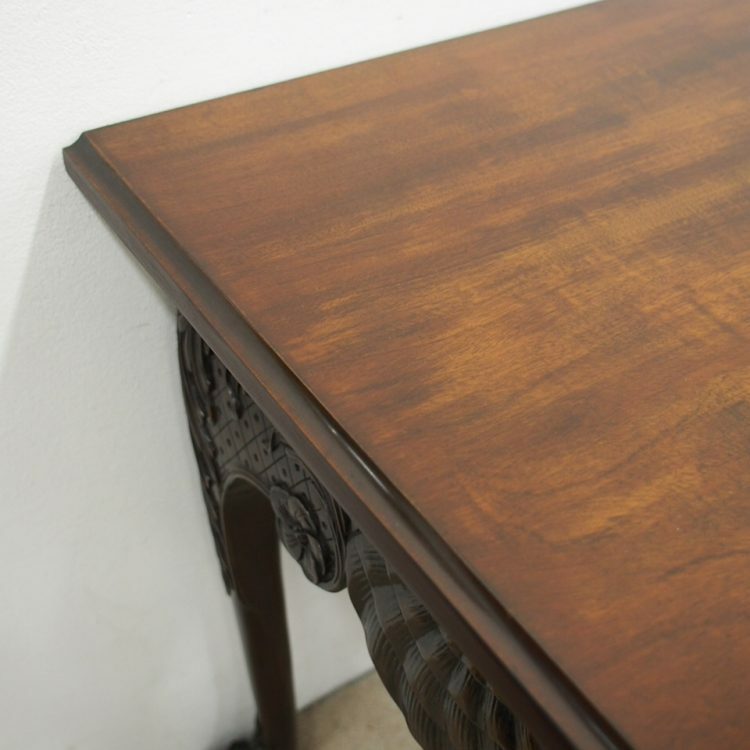 Mid 1800s, Irish George II Chippendale style carved mahogany hall table. 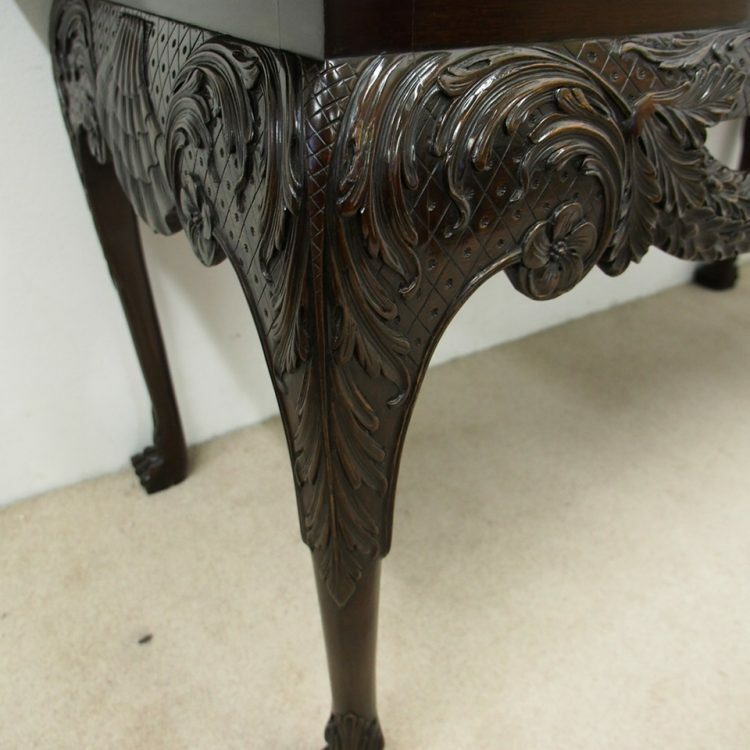 The rectangular mahogany top with a fluted moulding (originally would have had a marble top) is over an impressive carved frieze on both sides and front. 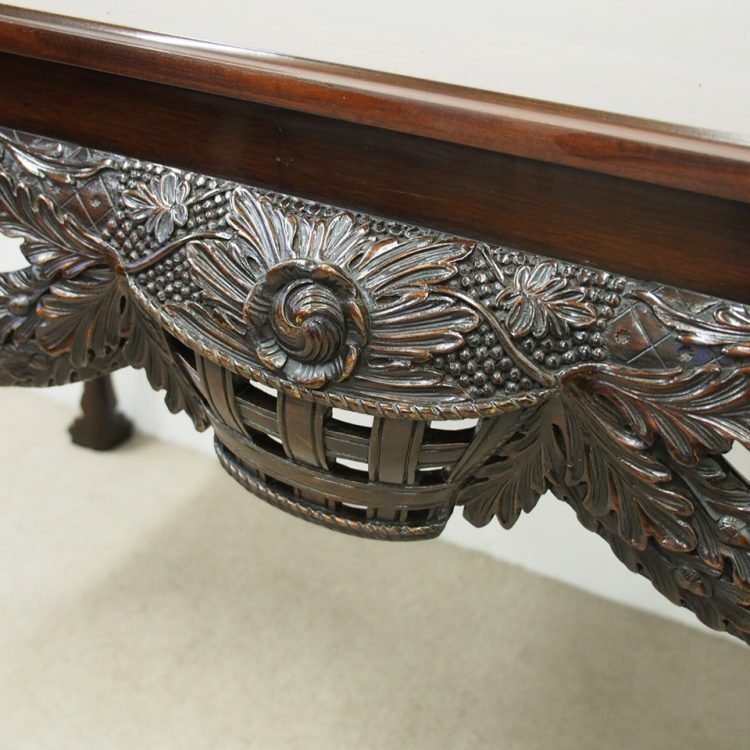 It contains a central, open carved fruit basket, surrounded by carved oak leaves, acorns, rosettes. 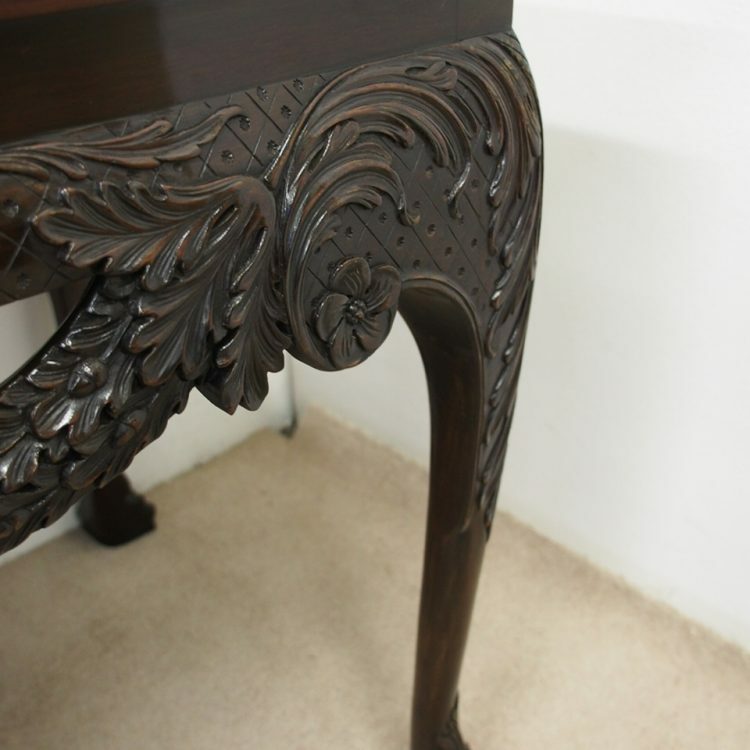 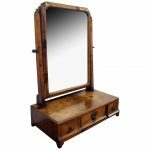 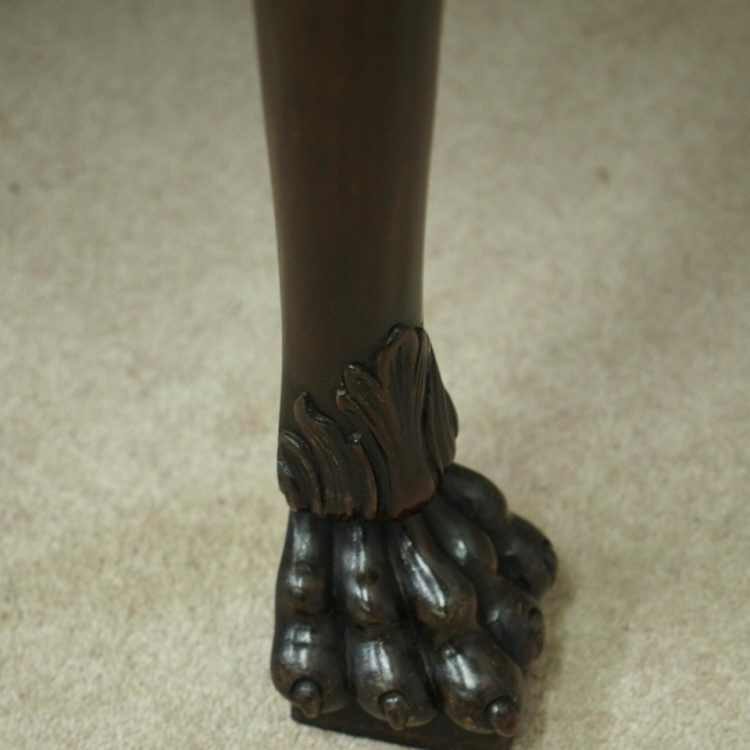 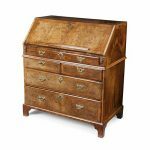 With Irish classical shell carvings to sides and acanthus leaf carvings extending down the cabriole legs that terminate in a classical carved Irish claw foot, surmounted by unusual upturned acanthus leaves.